North Dakota took on the oversight of a multibillion-dollar oil industry with a regulatory system built on trust, warnings and second chances. It was the 11th blowout since 2006 at a North Dakota well operated by Continental Resources, the most prolific producer in the booming Bakken oil patch. 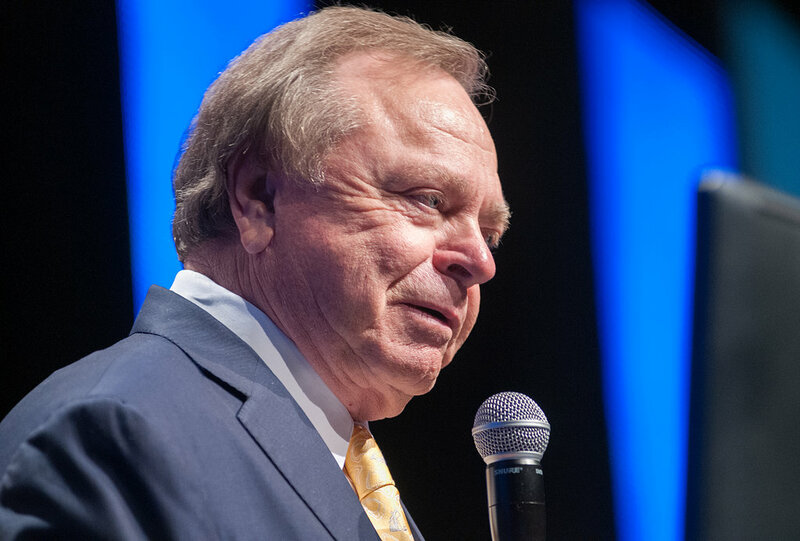 Spewing some 173,250 gallons of potential pollutants, the eruption, undisclosed at the time, was serious enough to bring the Oklahoma-based company’s chairman and chief executive, Harold G. Hamm, to the remote scene. It was not the first or most catastrophic blowout visited by Mr. Hamm, a sharecropper’s son who became the wealthiest oilman in America and energy adviser to Mitt Romney during the 2012 presidential campaign. Two years earlier, a towering derrick in Golden Valley County had erupted into flames and toppled, leaving three workers badly burned. “I was a human torch,” said the driller, Andrew J. Rohr. Blowouts represent the riskiest failure in the oil business. Yet, despite these serious injuries and some 115,000 gallons spilled in those first 10 blowouts, the North Dakota Industrial Commission, which regulates the drilling and production of oil and gas, did not penalize Continental until the 11th. In 2011, Andrew J. Rohr and two other workers were badly burned when a towering derrick erupted into flames and toppled. “I was a human torch,” Mr. Rohr said. The commission — the governor, attorney general and agriculture commissioner — imposed a $75,000 penalty. Earlier this year, though, the commission, as it often does, suspended 90 percent of the fine, settling for $7,500 after Continental blamed “an irresponsible supervisor” — just as it had blamed Mr. Rohr and his crew, contract workers, for the blowout that left them traumatized. 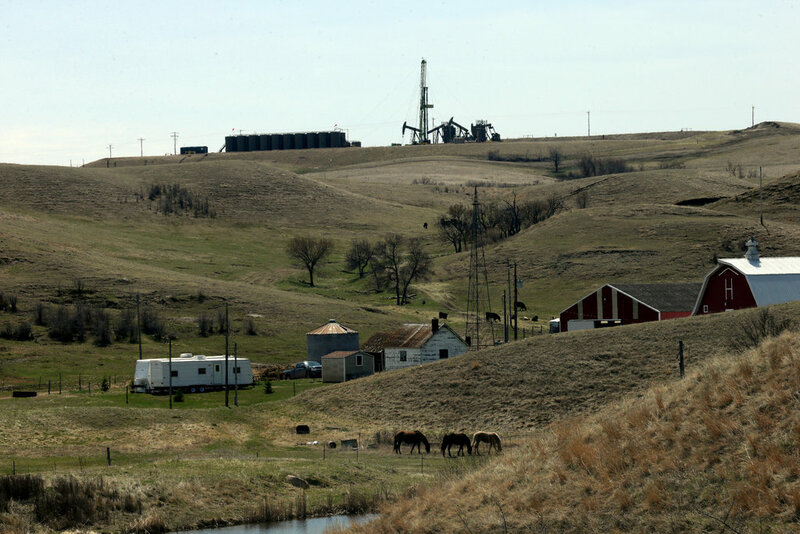 Since 2006, when advances in hydraulic fracturing — fracking — and horizontal drilling began unlocking a trove of sweet crude oil in the Bakken shale formation, North Dakota has shed its identity as an agricultural state in decline to become an oil powerhouse second only to Texas. A small state that believes in small government, it took on the oversight of a multibillion-dollar industry with a slender regulatory system built on neighborly trust, verbal warnings and second chances. In recent years, as the boom really exploded, the number of reported spills, leaks, fires and blowouts has soared, with an increase in spillage that outpaces the increase in oil production, an investigation by The New York Times found. Yet, even as the state has hired more oil field inspectors and imposed new regulations, forgiveness remains embedded in the Industrial Commission’s approach to an industry that has given North Dakota the fastest-growing economy and lowest jobless rate in the country. For those who champion fossil fuels as the key to America’s energy independence, North Dakota is an unrivaled success, a place where fracking has provoked little of the divisive environmental debate that takes place elsewhere. Its state leaders rarely mention the underside of the boom and do not release even summary statistics about environmental incidents and enforcement measures. The Times found that the Industrial Commission wields its power to penalize the industry only as a last resort. It rarely pursues formal complaints and typically settles those for about 10 percent of the assessed penalties. Since 2006, the commission has collected an estimated $1.1 million in fines. This is a pittance compared with the $33 million (including some reimbursements for cleanups) collected by Texas’ equivalent authority over roughly the same period, when Texas produced four times the oil. North Dakota’s oil and gas regulatory setup is highly unusual in that it puts three top elected officials directly in charge of an industry that, through its executives and political action committees, can and does contribute to the officials’ campaigns. Mr. Hamm and other Continental officials, for instance, have contributed $39,900 to the commissioners since 2010. John B. Hess, chief executive of Hess Oil, the state’s second-biggest oil producer, contributed $25,000 to Gov. Jack Dalrymple in 2012. State regulators say they deliberately choose a collaborative rather than punitive approach because they view the large independent companies that dominate the Bakken as responsible and as their necessary allies in policing the oil fields. They prefer to work alongside industry to develop new guidelines or regulations when problems like overflowing waste, radioactive waste, leaking pipelines, and flaring gas become too glaring to ignore. Daryl Peterson taste-tests the residue left by a wastewater spill on land he farms. The highly saline spill rendered the land useless. Researchers who study government enforcement generally conclude that “the cooperative approach doesn’t seem to generate results” while “the evidence shows that increased monitoring and increased enforcement will reduce the incidence of oil spills,” said Mark A. Cohen, a Vanderbilt University professor who led a team advising the National Commission on the BP Deepwater Horizon Oil Spill and Offshore Drilling. With spills steadily rising in North Dakota, evidence gathered by The Times suggests that the cooperative approach is not working that well for the state, where the Industrial Commission shares industry oversight with the state’s Health Department and federal agencies. One environmental incident for every 11 wells in 2006, for instance, became one for every six last year, The Times found. Through early October of this year, companies reported 3.8 million gallons spilled, nearly as much as in 2011 and 2012 combined. The spill numbers derive from estimates, and sometimes serious underestimates, reported to the state by the industry. State officials, who rarely discuss them publicly, sometimes use them to present a rosier image. 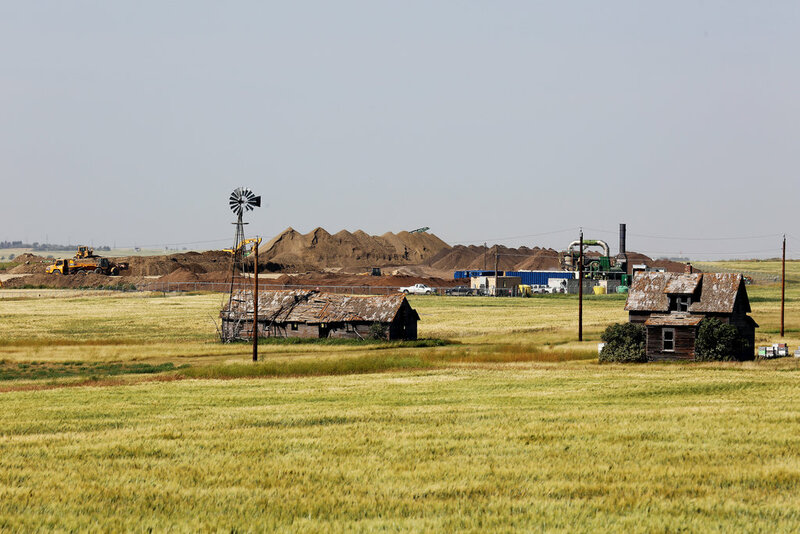 Over the summer, speaking to farmers in the town of Antler, Lynn D. Helms, the director of the Department of Mineral Resources, announced “a little bit of good news”: The spill rate per well was “steady or down.” In fact, the rate has risen sharply since the early days of the boom. He noted it is a federal agency, the Pipeline and Hazardous Materials Safety Administration, that regulates oil transmission pipelines. “You can’t use the spills P.H.M.S.A. was responsible for and conclude my approach to regulation is not working,” he said. More than 18 million gallons of oil and toxic wastewater were spilled in North Dakota from January 2006 to October 2014. 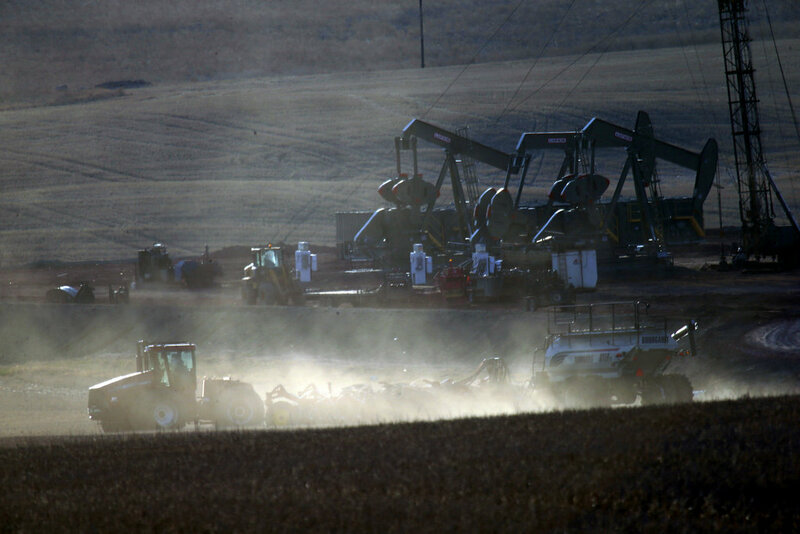 Most individual spills were contained to the immediate drilling area, but many of the largest spills polluted surrounding farms and waterways. Indeed, as the tangle of buried pipelines has grown, there have been no federal pipeline inspectors based in North Dakota. But there have been no state inspectors, either, to oversee the much larger network of gathering pipelines unregulated by the federal government — a fount of many spills. Continental Resources hardly seems likely to walk away from its 1.2 million leased acres in the Bakken. It has reaped substantial profit from the boom, with $2.8 billion in net income from 2006 through 2013. But the company, which has a former North Dakota governor on its board, has been treated with leniency by the Industrial Commission. From 2006 through August, it reported more spills and environmental incidents (937) and a greater volume of spillage (1.6 million gallons) than any other operator. It spilled more per barrel of oil produced than any of the state’s other major producers. Since 2006, however, the company has paid the Industrial Commission $20,000 out of $222,000 in assessed fines. Looking back now, one thing gnaws at her. Oil wells, shown in yellow, cover the agricultural landscape. Most have been built since 2006. Thousands of lines drilled underground connect the fracking operations to surface wells. Given the state’s history of population loss and economic decline, state officials delighted in the arrival of oil companies eager to exploit the tremendous untapped potential of the primeval Bakken formation deep beneath the sweeping prairies and rugged badlands of western North Dakota. Especially during the first years, officials were anxious that this oil boom, like previous ones, could be fleeting, that oil companies, if not embraced, could shift their rigs and capital investment to fields with less severe winters and better access to markets. Lynn D. Helms, the director of the North Dakota Department of Mineral Resources, advocates a collaborative, not punitive, approach to oil industry enforcement. In 2006, the Industrial Commission issued 419 drilling permits, processing applications in five days. By 2011, when it handed out 1,927 permits, it was still managing to issue them in 10 days. At that point, concerned that the Environmental Protection Agency might establish a moratorium on fracking — the legislature set aside $1 million to sue the E.P.A. — there was a desire to establish facts on the ground. Ron Ness, president of the North Dakota Petroleum Council, said: “It’s easy to say it’s been too fast, too much. But this is what North Dakotans have hoped for, prayed for.” Investors from all over the country are now drawn to tiny, remote places like Watford City, where “there wasn’t a damn thing” seven years ago, he said. In the first five years, the “slow, nasty drip, drip, drip” of routine spills — as Edmund Baker, environmental director for the Fort Berthold Reservation in the heart of the oil patch, calls it — went largely unnoticed and sometimes unreported to the authorities. 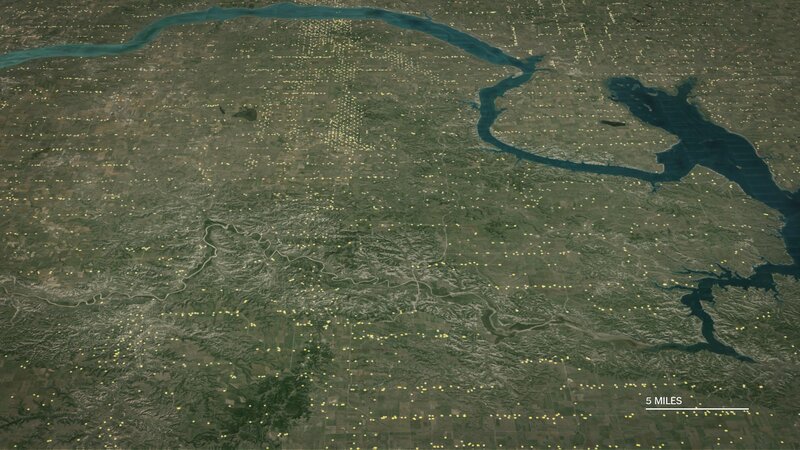 In the spring thaw of 2011, however, after a winter of record snowfall, scores of oil waste pits overflowed at once. 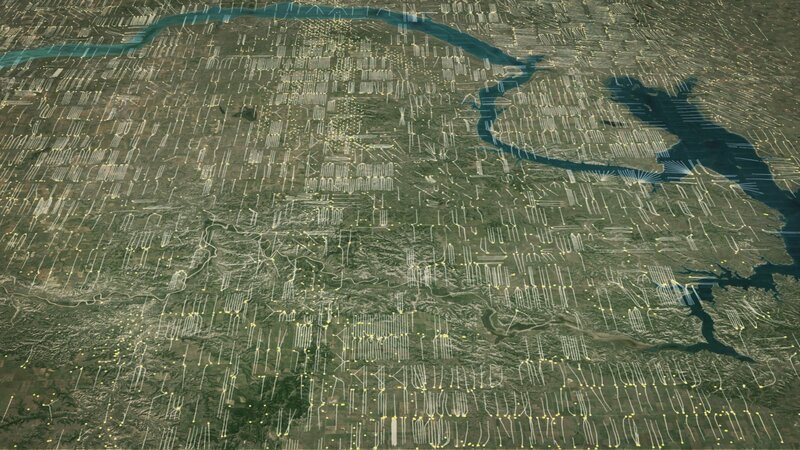 The large, open pits, adjacent to rigs throughout the Bakken at that point, disgorged oil-based drilling mud that mixed with snowmelt and streamed across farmland and into stock ponds, creeks and river tributaries. Farmers were horrified; the local news media took note. And, in concert with the development of a new regulation outlawing liquid waste pits, the Industrial Commission undertook its first — and so far only — crackdown on spills. It filed several dozen formal complaints against companies that, Mr. Helms said, had defied the Mineral Resources Department’s warning to take precautions to prevent the predicted overflows. Hess Oil was one target. It paid its fines in full: $112,500. Continental, like some other companies, disputed its responsibility. Still, the Industrial Commission accepted $12,500 rather than $125,000. That fall, at a commission meeting in Bismarck, Mr. Helms explained the logic behind the waste pit settlements. Mr. Helms said this had been departmental practice since the early 2000s when officials were trying to prod Earl Schwartz of GoFor Oil — his logo was a gopher in a hard hat — to plug some wells and start production on others. Bearded and deliberative, Mr. Helms is a petroleum engineer by trade, with a hand that bears the burn scars of an industrial accident. The state’s senior oil official since 2005, he previously worked at Texaco for two years and at Hess for 18. To his critics, Mr. Helms personifies a cozy relationship between the commission and oil companies. His dual mission heightens this, they say, as he is compelled by statute both to promote “the greatest possible economic recovery of oil and gas” and to enforce regulations. Mr. Helms, however, said that his background gives him access and authority, and that his job is to promote responsible development, not the industry. The commission has imposed its stiffest penalties on smaller companies. Last year, it fined Halek Operating, whose leader had a history of swindling investors in Texas, a record $1.5 million for a defective waste disposal well that threatened a town’s water supply. But Halek has gone out of business, and the state is unlikely to obtain more than the $140,000 in bonds it has seized. Mr. Helms said that problems in the oil patch were often the fault not of the major companies but of the contractors who do their physical labor. L. David Glatt, Mr. Helms’s counterpart in the Health Department’s environmental division, has voiced the same sentiment. 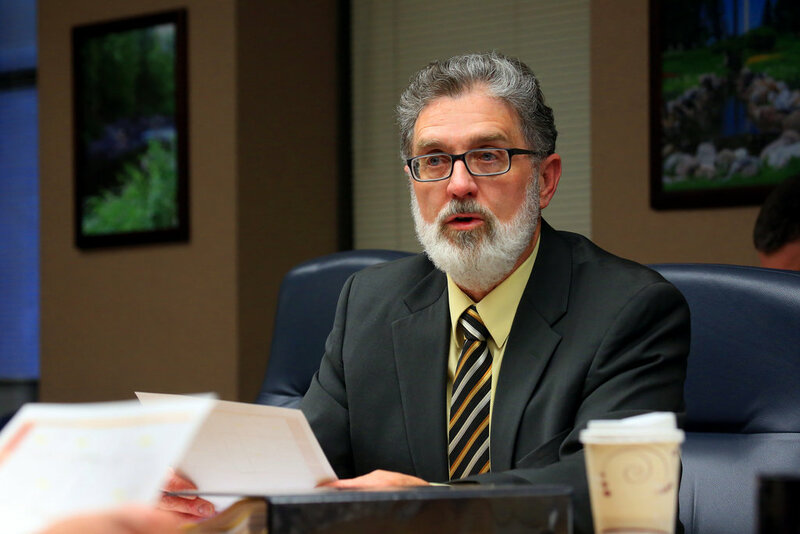 Though the state’s chief environmental regulator, he described himself on a radio show last year as “not a regulations guy” — after the host said that “the word ‘regulation’ is like Lucifer” in North Dakota. Harold G. Hamm, the chairman and chief executive of Continental Resources, the top producer in North Dakota’s booming Bakken oil patch. Judging by the data, the Health Department, overseen by civil servants and not elected officials, appears to have been tougher on the oil industry than the Industrial Commission has. It has collected over three-quarters of the fines levied, amounting to at least $4.1 million since 2006. Still, most of that revenue derived from a single industrywide enforcement action that, Mr. Glatt said, the industry itself requested. After years of underestimating volatile emissions from its oil storage tanks in the Bakken and allowing them to vent directly into the air, the industry “self-reported” the potential pollution and safety problem to the government. The Health Department did not publicize that it collected record penalties for these violations last year: $2.64 million, including unprecedented sums like $418,500 from Hess and $305,400 from Continental. 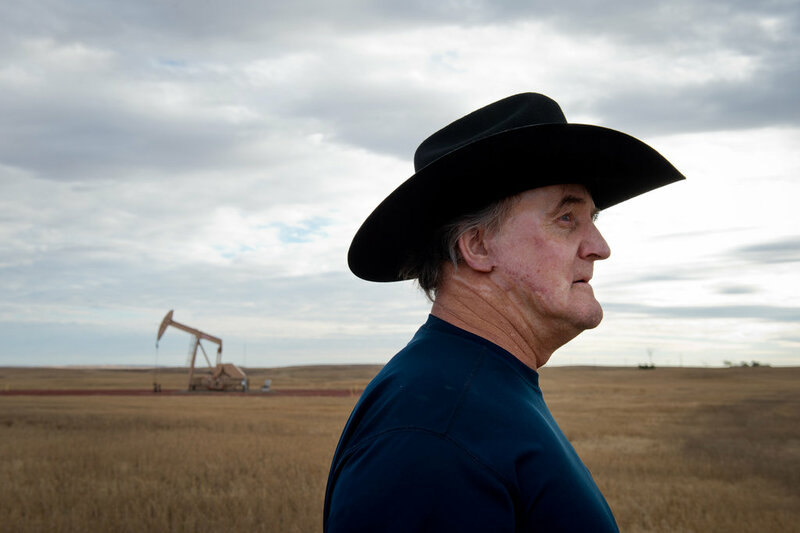 A ranch in Epping, N.D., is dotted with oil rigs and sliced by oil service roads. It sits along the road to the Lewis and Clark State Park. At her isolated farmhouse near Tioga, Patricia Jensen disarms guests — pipeline executives, oil spill cleaners — with a glistening berry pie fresh from the oven. She and her husband, Steven, are firm but nonconfrontational in their approach to what he calls the “ecological nightmare” in the backyard of the family’s century-old homestead. “We’ve kind of taken a route of not being too sour, but yet we’re really concerned,” Mr. Jensen said. What happened to them last fall — considered the largest on-land oil spill in recent American history — confronted North Dakota with the potential costs of the boom. It shined a light on the state government’s lack of transparency when it went unreported to the public for 11 days. It raised awareness that spills of all magnitudes were daily and routine. It highlighted the inadequacy of pipeline monitoring. And it made clear that even in the worst cases the authorities are hesitant to use punitive sanctions. More than a year after the spill, neither the federal nor the state government has penalized the company responsible, Tesoro Logistics of San Antonio. Late last September, Mr. Jensen was harvesting waist-high durum wheat when he found his combine’s tires wet with an unmistakable sheen. His wife called the operator of a nearby well, which contacted Tesoro, and both companies immediately sent out representatives. In its initial report, Tesoro seriously underestimated the contamination. A week and a half later, after a “subsurface assessment” request by the state, it tripled its estimate to 20,600 barrels, or 865,200 gallons. The lost oil had soaked a large stretch — equal to about six football fields — of the windswept land where the Jensens run cattle and rotate crops like sunflowers and sunshine-yellow canola. The spill was publicly disclosed only after local reporters learned of it, provoking an outcry from environmentalists that led to the creation of a spills website. In Tioga, a preliminary investigation found a small hole in the pipeline that appeared to have been caused by lightning, said the federal pipeline administration, whose final investigation has yet to be completed. 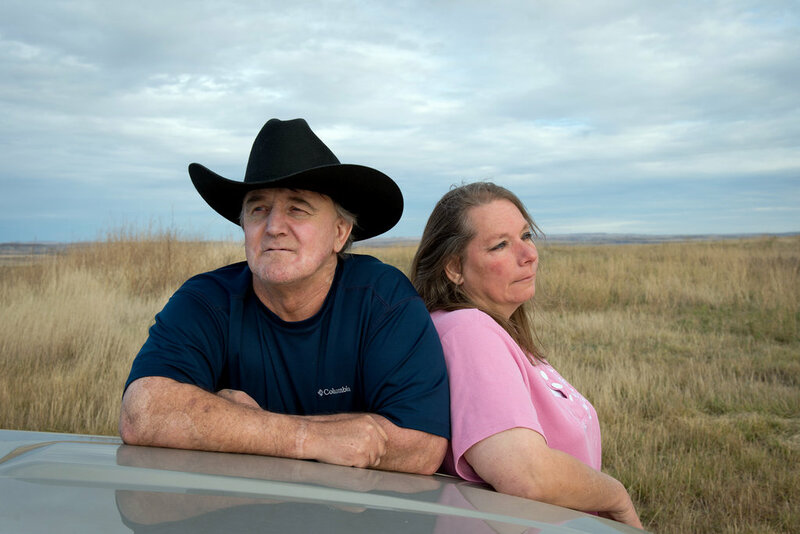 On Patricia and Steven Jensen’s farm near Tioga, N.D., a pipeline break last summer resulted in the largest spill of fracked oil in American history. That cast the incident as an act of nature, but Tesoro officials now acknowledge that the hole had gone undetected for as long as two months. Before the leak sprang in July 2013, Tesoro had not conducted an internal inspection of that segment of pipeline for eight years. Federal officials had last inspected the Tesoro network in North Dakota in 2010. Pipeline leaks are not the most common cause of spills; valve or piping connection problems are, The Times found. But they spew the greatest volume of oil and wastewater and are the most likely to cause pollution. Unlike several other major oil-producing states, North Dakota has until now relied on federal inspectors — based in Kansas City, Mo., 950 miles from Tioga — to monitor all its oil transmission lines, interstate and intrastate. As a result, Mr. Kalk’s commission is seeking to take over the monitoring of the crude oil transmission pipelines that travel solely within the state. Transmission pipelines, which carry oil to market, are not the only problem, however. Until this year, no authority, federal or state, monitored what Mr. Helms estimates to be 18,000 miles of gathering pipelines, which transport oil and wastewater from wells to collection sites. In fact, the North Dakota government does not even know their precise locations. But, with legislative permission, Mr. Helms is taking the gathering lines under his aegis and hiring the state’s first three hazardous-liquid pipeline inspectors. 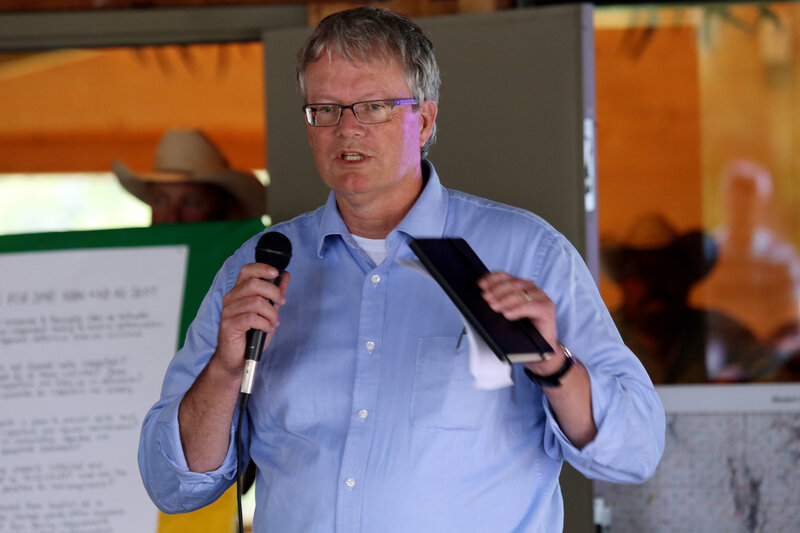 “We’ve kind of taken a route of not being too sour, but yet we’re really concerned,” said Steven Jensen, whose farmland was covered by oil from a pipeline break. The lost oil soaked a large stretch — equal to about six football fields — of the windswept land where the Jensens run cattle and farm. The site of the spill is still being actively cleaned. Neither the federal nor the state government has penalized the company responsible. “The industry really wants to fight putting monitoring devices on pipelines, but it’s a no-brainer, seems like,” Mr. Jensen said. 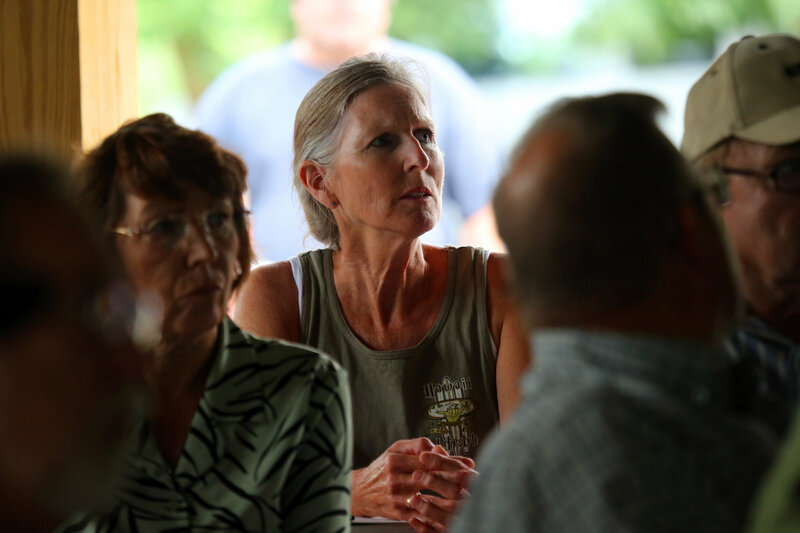 One August evening this year, after a barbecue dinner beneath an elaborate skull-and-antler chandelier in the Outlaw Shack at Antler Memorial Park, Mr. Helms and Mr. Glatt faced an audience of farmers disgruntled by the wastewater contamination of northwestern North Dakota. Their corner of the state is like a cautionary tale. It is pocked with the remnants of 1980s oil production: abandoned wastewater ponds, some of which leached brine downward and outward, sterilizing the soil and shriveling crops. State officials have estimated it would cost $2 million each to reclaim what might amount to 1,000 ponds, said State Representative Marvin E. Nelson. Though the industry now disposes of oil field brine primarily by injecting it deep underground, it still needs to be transported to disposal wells and remains a stubborn pollution problem. For every barrel of oil, about 1.4 barrels of brine is produced, state officials say, and far more of it spills than does oil. And while the industry calls it saltwater — “which makes it sound harmless, like something you would gargle with,” said Derrick Braaten, a lawyer who represents farmers — it is highly saline and can be laced with toxic metals and radioactive substances. Three years ago, a farmer in the Antler audience experienced one of the largest oil field wastewater spills ever in North Dakota. 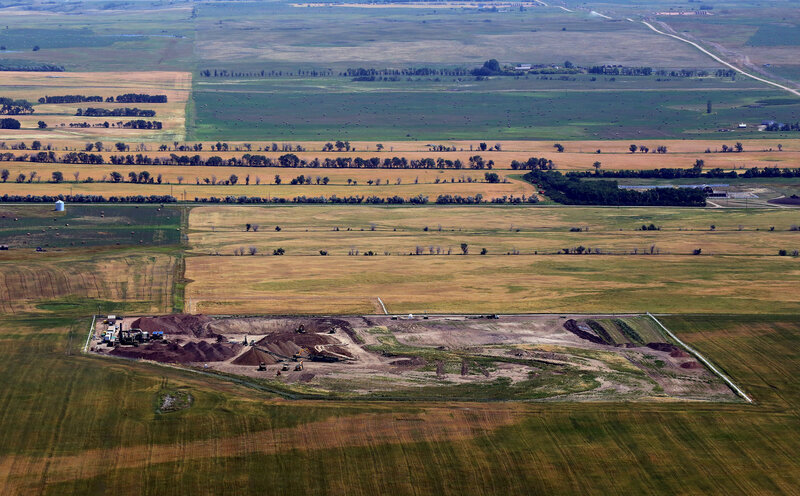 A leaking wastewater line contaminated some 24 acres of farmland and eight surface ponds, and the site has yet to be restored to health. After the leak was detected, cleanup crews pumped out two million gallons of severely contaminated water, with chloride levels 2,700 times higher than normal, and a generator was still pumping out contaminants this summer. State officials say the spill far exceeded the 12,600 gallons originally reported by the company, Petro Harvester, though it remains listed that way on the state’s spills website. Mr. Helms, in an email last year to his spokeswoman, Alison Ritter, estimated it at 332,000 gallons. Mr. Nelson, the legislator and agronomist, thinks it probably was three times that much. A farmer working a field, foreground, near oil wells outside Epping. North Dakota has shed its identity as an agricultural state in decline to become an oil powerhouse second only to Texas. The state has not yet penalized Petro Harvester. Underlying the state’s regulatory posture is the premise that spills are all but inevitable and will increase alongside increases in drilling. But that is not a universally shared perspective. To a skeptical audience in Antler, Mr. Helms proclaimed that North Dakota was “head and shoulders above our sister states” in the region for its vigilance as measured by the ratio of wells to inspectors, the frequency of inspections and the authority to fine up to $12,500 per offense a day. He said that almost all problems found by his inspectors were corrected within 30 days of verbal warnings. Some 2,500 warnings were issued last year, Ms. Ritter said; only 4 percent resulted in a written violation and only nine complaints were filed (up from four in 2012). In the park, Mr. Helms offered a boardroom-style PowerPoint presentation, including a graphic that he said contained the “good news” that the spill rate per well was steady or down. His figures, however, provided to The Times later, show that the number of spills continued to grow faster than the number of wells — just not as fast as before. 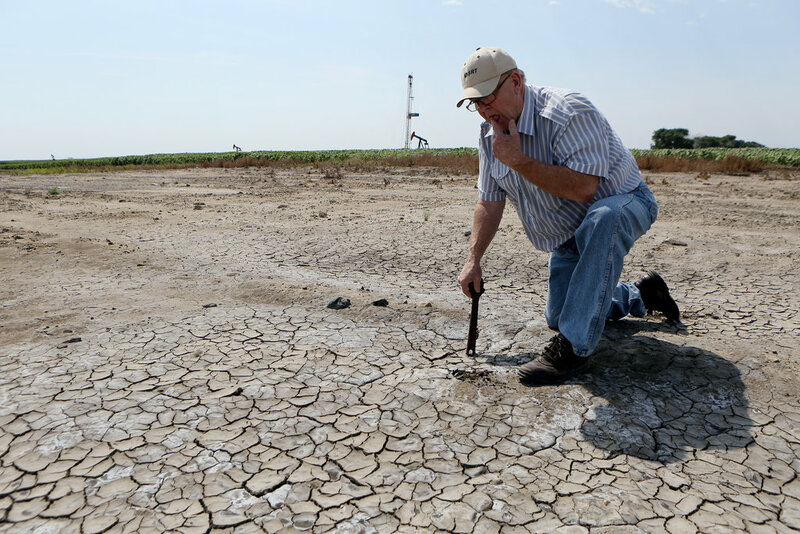 All told, the number of wells is up 200 percent and spills 650 percent since 2004. The farmers in Antler said they assumed Mr. Helms’s spills data was comprehensive, but he told The Times later that he was including only spills under his jurisdiction. That omitted hundreds of incidents, including the Jensens’ spill and the 464,000 gallons of oil that gushed from a fiery train derailment near Casselton last December. 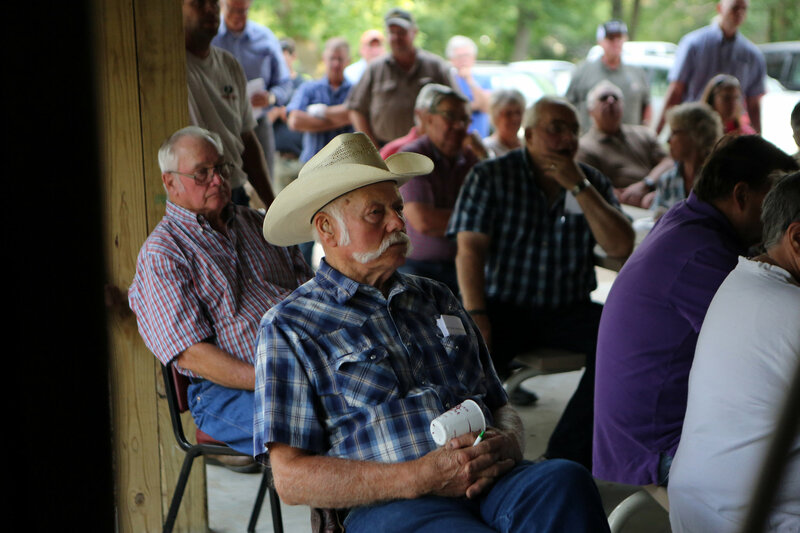 The most encouraging statistic, Mr. Helms told the farmers, was that a higher proportion of individual spills were being contained to production sites. That is true according to the numbers he uses. But, looking at the actual volume of pollutants and all reported spills, The Times found a decline, not an improvement, in spill containment — with 45 percent contained from 2011 to 2013, down from 62 percent in the previous three years. Without engaging in any data analysis, the farmers in Antler were suspicious of the spill estimates because they were based on self-reporting by the industry. “You take the word of the operators? That’s your first mistake,” one man said, to laughter. They remarked that their own spills were often drastically underestimated on the state’s spills website. Indeed, The Times found scores of cases on that website where the release of pollutants was not just undercounted but marked as zero. 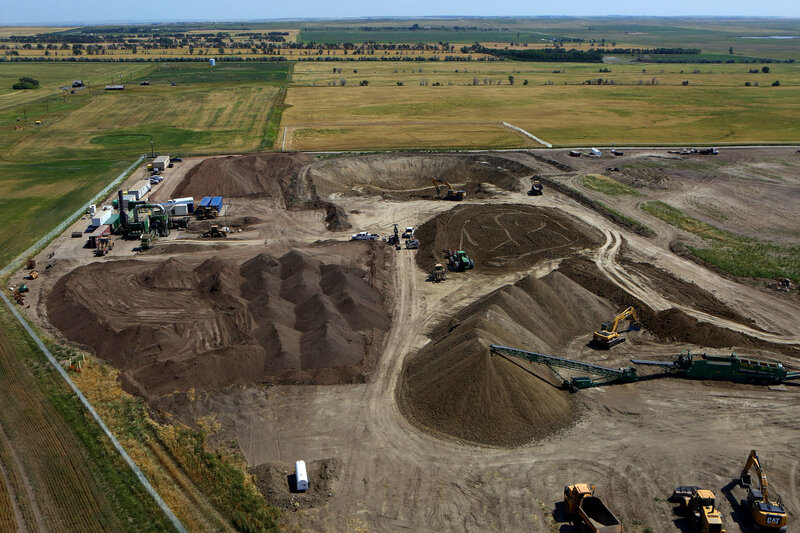 One supposedly zero-volume wastewater spill in Bottineau County last year required the removal of 600 dump-truck loads of contaminated soil. For a North Dakotan trying to make sense of the state’s environmental and enforcement records, numbers are essentially inaccessible. The state spills site posts incidents in chronological order, without summary statistics, and it is not searchable. Oil and gas enforcement data is not made public at all, unlike in Texas, where the legislature mandates quarterly reports. The Times built a database to analyze the state’s raw information from a variety of perspectives, including a company-by-company assessment. 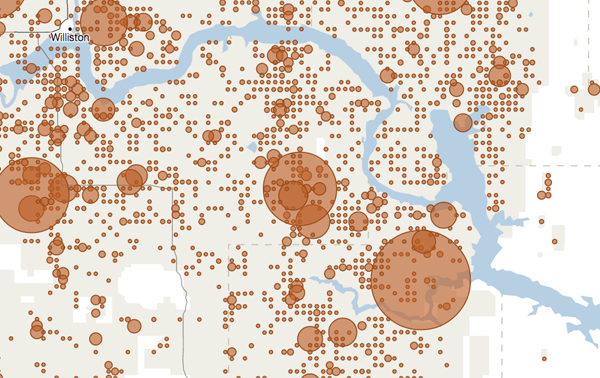 It found that companies in the Bakken spill at different rates. This suggests to some experts that companies could do more to prevent and minimize environmental incidents. This database contains all reported spills from Jan. 1, 2006, to Oct. 13, 2014. Statoil, a multinational company whose largest shareholder is the Norwegian government, now ranks as the state’s fifth-biggest producer. With a professed goal of “zero incidents, zero releases,” according to Russell Rankin, its regional manager, it has reported no blowouts and has the best record in the state among the major producers in terms of how many gallons of oil it produces for each incident. Based on volume, Statoil has produced 9,000 gallons of oil for every gallon of spillage; Continental has produced 3,500. Statoil contained some 70 percent of its spill volume to production sites. Continental contained less than half, The Times found. In its written response, Continental disputed The Times’s “math,” but did not respond further after it was sent a spreadsheet of reported incidents that formed the basis for the findings. 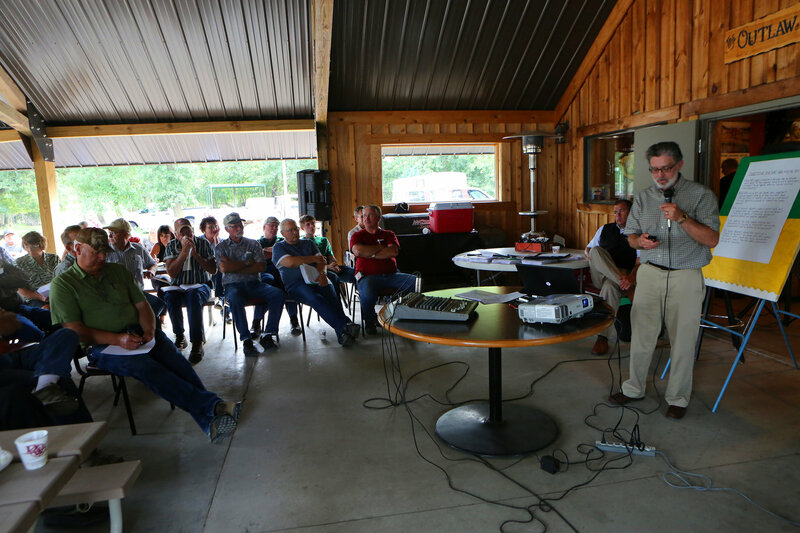 At a park in Antler this summer, Lynn D. Helms, the state’s senior oil official, addressed an audience of farmers disgruntled by wastewater contamination. The farmers were suspicious of spill estimates because they are based on self-reporting by the industry. 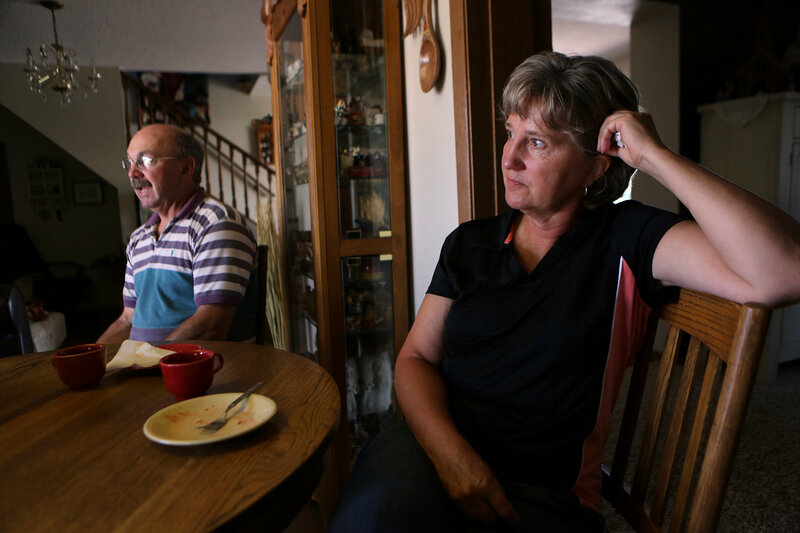 Brenda Jorgenson, 61, has been a persistent thorn in the side of oil field companies and state officials. When the Skurupey well blew out last summer, Continental waited some 10 hours to notify the local authorities. The public never knew the blowout had occurred because the well, like many new wells, had been granted confidential status by the state for competitive reasons; almost everything except its existence was off the record for six months. The oil misted over hundreds of acres, contaminating hundreds of bales of hay and alfalfa fields. Defending itself against the commission’s enforcement action this year, Continental argued that its own investigation revealed that “an irresponsible supervisor’s callous disregard of” its “well-established standard operating procedures” caused the Skurupey blowout. 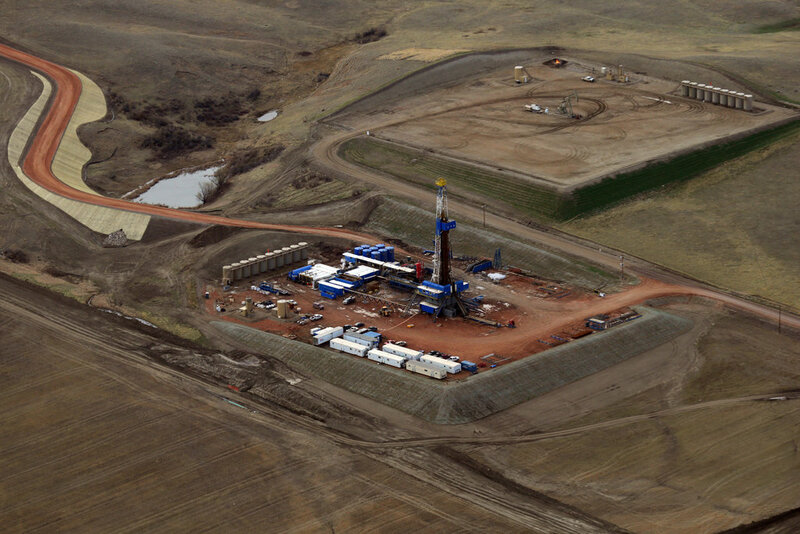 At the Williston courthouse in September, Continental’s lawyer, Steven J. Adams of Tulsa, Okla., placed the responsibility for the previous blowout in Golden Valley County squarely on Mr. Rohr and his crew, who worked for Cyclone Drilling of Wyoming. “It was the Cyclone crew that failed to do its job,” he told the jury. 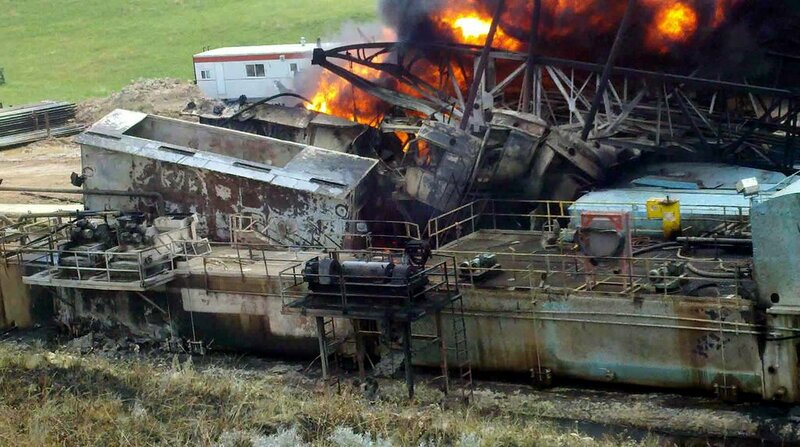 The wreckage of the rig Mr. Rohr and his co-workers were working on. During the voir dire process, many prospective jurors had revealed just how interwoven their lives were not only with the oil industry, but also with Continental. Some had worked for or done business with Continental; others owned its stock or received royalty checks from Continental wells. Asked if they had strong feelings about the oil boom, almost all, even those who saw the positive, raised their hands to say they thought it had had negative consequences, too. A landowner referred to oil sludge buried and flares burning on her property, a nurse to injured oil workers treated at her clinic, an oil field technician to a “hurry up and wait world” that put profits first. The next morning, a settlement was reached. Later, in a nearby hotel, sitting with his lawyers, his wife and a former co-worker, Mr. Rohr lifted his T-shirt to reveal what he had been prepared to show the jury: his pink, waffled back, patched together through skin grafts after the rig at the Beaver Creek State 1-36H well exploded into flames on July 24, 2011. Mr. Rohr, who is called A.J., stared into his coffee cup, crying. Mr. Rohr and two colleagues were airlifted to a burn center in Minneapolis. With serious burns over 60 percent of his body. Mr. Rohr spent a month hospitalized. Still in constant pain and reliant on painkillers, he has not returned to the oil fields, the only job he has ever known. The two men and their boss, Wally Dschaak, said they thought from the start that the well, situated in a remote, serene spot about a mile from the Little Missouri River, was going to give them trouble. “From the day we moved onto that miserable, slimy, dirty location, things had been fighting us,” Mr. Hartse said. Continental, which declined to discuss the case, imported oil fire specialists from Texas to extinguish the blaze. Later, Cyclone sent Mr. Hartse to Wyoming to help build a replacement rig, he said, but did not allow him to accompany it back to North Dakota. “Continental wanted no part of anybody who was there that day,” Mr. Hartse said. Deborah Sontag reported from Williston, and Robert Gebeloff from New York. 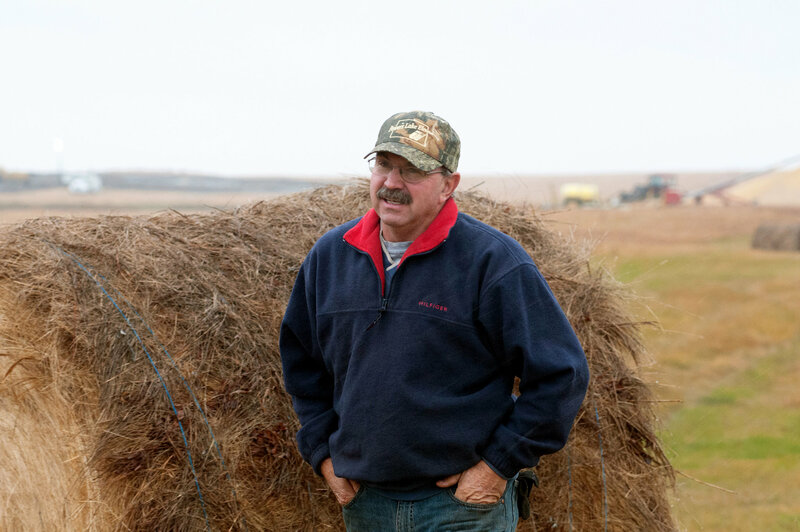 Michael Wines contributed reporting from Bismarck, N.D.
An earlier version of this article referred incorrectly to an oil spill last fall on the farm of Steven and Patricia Jensen. It was considered the largest on-land oil spill in recent American history, not the largest ever. After an unusual land deal, a giant spill and a tanker-train explosion, anxiety began to ripple across the prairie. Gov. Jack Dalrymple with Janelle Steinberg, Mrs. North Dakota International 2014, at a celebration in Tioga in June for reaching a milestone: one million daily barrels of oil.